You may have seen recently Autodesk has acquired a new technology into their family of products to announce the new solution Autodesk Point Layout. With this product release, Autodesk takes BIM information beyond the computer design to aid with field operations. 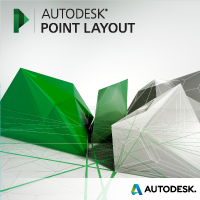 Autodesk Point Layout allows design and fabrication office professionals to create installation points inside a digital model. These points are then downloaded to a robotic total station. Field professionals can identify service installation locations with laser accuracy. Once installed these field points can be relayed back into the model to aid the As-Built construction development phase of a project. Autodesk Point Layout is closing the gap in the Virtual Design Construction workflow by utilizing model generated design data to making it available in the field process. Learn more. I tried this plug with revit 2014 but it doesn’t works ! I have an error message box showing “EROR:Failed to get or create Shared Params Group”. The only thing that its works well is to drag an drop the GTP familly in my project. Could someone tell me why do i have this error message, please ? I am sorry you are running into issues. Best bet would be to fill out this form (http://www.autodesk.com/products/point-layout/buy) and then ask the person who contacts you. Since this is a newly purchased product by Autodesk, our technicians are still getting up to date. We can help with general questions, but depending on where you are located, the software may be slightly different. If you continue to have issues and no one contacts you, please email us at synergiscad@synergis.com.